State Department spokeswoman rejects reports that Trump administration’s peace has been delayed. State Department spokeswoman Heather Nauert on Thursday rejected reports that the Trump administration’s peace plan for Israel and the Palestinian Authority (PA) has been delayed. Nauert was asked during her daily press briefing whether the plan, being prepared by President Donald Trump’s senior adviser Jared Kushner and his Middle East envoy Jared Kushner, was indeed being pushed back. “We have not unveiled the peace plan at this time. That will be unveiled by Mr. Kushner and Mr. Greenblatt when it is ready. And when it’s ready to be unveiled, they will unveil it,” she promised. Earlier this week, a source said that the U.S. National Security Council has published a tender to hire experts for a steering committee to be established for the plan. The committee would allegedly be chaired by Middle East special envoy Jason Greenblatt. According to the source, the administration would not be able to present the final peace plan until 2019. National Security Spokesperson Garrett Marquis later told Arutz Sheva that the report was false. “No such committee is being established. Further, the report that we will not release the plan in 2018 is also false. As we have said before, the release of the plan is not related to domestic United States or Israeli politics but when the plan is complete and the timing is right,” said Marquis. 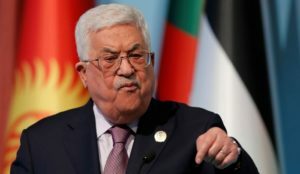 The U.S. peace plan, despite not having been made public yet, has thus far been met with resistance from PA chairman Mahmoud Abbas and his aides. They have refused to engage with the U.S. in protest over Trump’s recognition of Jerusalem of Israel’s capital and his relocating the U.S. embassy to the city. Trump recently declined to offer a timetable for announcing the proposed peace plan, saying only that “progress” had been made in tackling the complex issue. “A lot of progress has been made in the Middle East, a lot,” he said in late June after a meeting at the White House with King Abdullah II of Jordan. But deep down, they really, really want peace! Yes, of course, I’m being sarcastic. But there are respected policy analysts in Washington at this very moment who actually believe that. TEL AVIV – In accordance with its “pay-for-slay” law, the Palestinian Authority last year paid terrorists and their families over $347 million, Defense Minister Avigdor Liberman said Tuesday. Citing the PA’s own data, terrorists with three to five year prison sentences receive $580 dollars a month – equivalent to the average Palestinian income, Liberman told a session of the Knesset Foreign Affairs and Defense Committee on Tuesday. Terrorists sentenced to 20 years or more – usually for the murder of Israeli civilians – receive more than $2,900 per month for their entire lives, five times the amount of a “small time” terrorist. On top of the PA salary, Arab terrorists who hold Israeli citizenship receive a $145 bonus, more than the average Israeli income of around $2,700. In addition, there are additional stipends for wives and children. “The minute the amount of the payment is decided according to the severity of the crime and the length of the sentence – in other words, whoever murders and is sentenced to life in prison gets much more – that is funding terrorist attacks against Israeli citizens. There is nothing that better illustrates the PA’s support for terrorism. We must stop this,” he added. Liberman also presented his bill proposing to deduct the amount paid by the Palestinian Authority to terrorists and their families from monies owed by Israel in taxes. “I will pay them until my dying day,” he added. It’s not about a “piece of land here or there”, as the PA’s top Sharia judge clarifies, it’s a religious war. And Israel is not just a religious war between Muslims and Jews, but a shifting frontier in the larger war between Islam and the rest of the world. It’s another territory to be conquered on the way to Europe. And Europe is another territory to be conquered on the way to America. There can be no peace in a religious war. Nor is there anything to negotiate. “Moderate” Muslim leaders excel at threatening violence on behalf of the “extremists”. The last time the OIC was this mad, someone drew Mohammed. And wasn’t stoned to death for it. PLO leaders and minions meanwhile made it quite clear that now the dead peace process is truly dead. A day later, the peace process is still as alive and as dead as it ever was. Since the chance of a peace process is about the same as being hit by lightning while scoring a Royal Flush, that “chance” doesn’t amount to anything. The peace process has been deader than Dracula for ages. And even a PLO terrorist should know that you can’t threaten to kill a dead hostage. The only kiss of death here came from Arafat. Peace wasn’t killed though. It was never alive. Because a permanent peace is Islamically impossible. “The world will pay the price,” warned Mahmoud Habash, the Palestinian Authority’s Supreme Sharia judge. Habash isn’t just the bigwig of Islamic law, he’s also the Islamic adviser to the leader of the Palestinian Authority. And Abbas, the terror organization’s leader, was there when Habash made his remarks. While the official warnings from the Palestinian Authority, the Arab League and assorted other Islamic organizations have claimed that recognizing Jerusalem threatens the non-existent peace process, Habash had in the past had made it quite clear that the issue wasn’t land, it was Jihad. “The struggle over this land is not merely a struggle over a piece of land here or there. Not at all. The struggle has the symbolism of holiness, or blessing. It is a struggle between those whom Allah has chosen for Ribat and those who are trying to mutilate the land of Ribat,” Habash had declared. Ribat means that Israel is a frontier outpost between the territories of Islam and the free world. The Muslim terrorists who call themselves “Palestinians” have, according to the Abbas adviser, been chosen for “Ribat” to stand guard on the Islamic frontier and expand the territories of Islam. That is what’s at stake here. There’s an extremely thin line in Islamic theocracy between politics and religion. But what Habash is really saying is that there might be room to negotiate how many times a week the garbage truck comes to pick up the trash, but not who gives him the orders. Islamic supremacism is non-negotiable. The Supreme Sharia judge warned Trump that moving the embassy is “a declaration of war on all Muslims.” Why all Muslims? Because the “Palestinians” are a myth. Islamic conquests are collective. And it’s not as if any of the Muslim leaders disagree. Why is Jerusalem their business? It’s not empathy for the “Palestinians”. Kuwait ethnically cleansed huge numbers of them. They aren’t treated all that much better in other Arab Muslim countries. It’s not about them. The Muslim settlers in Israel are just there as “Ribat”. They’re the frontier guard of the Islamic conquest. Much like the Sharia patrols in the No-Go Zones of Europe or the Jihadists in Kashmir, the Rohingya in Burma and all the other Islamic Volksdeutsche variants of occupying colonists. Sunni may fight Shiite. Muslim countries, tribes and clans may war with each other. But the land they’re fighting over belongs to all of them collectively. It can never belong to non-Muslims. That is the essence of Islam where conquest is religion. That’s true of Jerusalem. And of the entire world. That is what is truly at stake in the war over Jerusalem. When countries refuse to move their embassies to Jerusalem, they are submitting to Sharia law and Islamic supremacism. The issue at stake is the same one as drawing Mohammed. It’s not about a “piece of land”. It’s about the supremacy of Islam. Refusing to move the embassy doesn’t prevent violence. Islamic terrorism continues to claim lives in Jerusalem. And Islamic violence has been a constant before Israel liberated Jerusalem or before there was even a free Israel. The Arab League, the Jordanians, the Saudis and the rest of the gang aren’t promising an end to the violence. Instead they warn that if we don’t obey, it will grow worse. That’s not diplomacy. It’s a hostage crisis. President Trump made the right decision by refusing to let our foreign policy be held hostage. We don’t win by giving in to terrorists. We win by resisting them. Or else we’ll have to live our lives as hostages of Islamic terror. Jerusalem is a metaphor. Every free country has its own Jerusalem. In America, it’s the First Amendment. Our Jerusalem is not just a piece of land, it’s a value. And the Islamic Jihad seeks to intimidate us into giving it up until, as the Hadith states, we abandon our religion for Islam. Moving the embassy to Jerusalem will do much more for America than it will for Israel. The Israelis already know where their capital is. We need to remember where we left our freedom. Islamic terrorists win when they terrorize us into being too afraid to do the right thing. President Trump sent a message to the terrorists that America will not be terrorized. Previous administrations allowed the terrorists to decide where we put our embassy. But Trump has made it clear that we won’t let Islamic terrorists decide where we put our embassies, what cartoons we will draw or how we live our lives. That is what real freedom means. What do you do when they untruthfully blame Israeli “settlements,” expressly including home construction in Jewish Jerusalem, for the failure of their botched peace process, and then abstain as the U.N. Security Council savages Israel, and only Israel, for obstruction of peace diplomacy? You pray for new leaders in the United States who will right the wrongs, defy the rotten and callous consensus, be willing to introduce a dose of realism and truth-telling to the Arab-Israeli dynamic, and be brave enough to say, at least, that Jews have profound rights in Jerusalem and that the U.S. recognizes the indisputable fact that Jerusalem functions as Israel’s capital, justifiably so. And that the American Embassy will move to Jerusalem, as should all embassies. You pray that somebody with Trump’s gumption will come along, become president of the United States, and do what he has just done. The Palestinians have no one to blame except themselves for President Donald Trump’s declaration on Israeli sovereignty in Jerusalem. The same goes for European leaders, who were busy this week condemning Trump’s move. The Palestinians and the Europeans brought this on themselves by running an ugly campaign of denialism and denigration against Israel. Their brazen persistence in delegitimizing the Jewish people’s historic roots and rights in Jerusalem led to this defiant and ultimately honorable result: a reassertion of reality. Over the past decade, and certainly since he rejected then-U.S. Secretary of State John Kerry’s 2014 peace initiative, President Mahmoud Abbas’ Palestinian Authority has been on an outrageous path, an assault on the core identity of Jews and Israelis and an offensive to deny the most fundamental, basic building blocks of Jewish connection to Jerusalem and the Land of Israel. At Abbas’ express urging, UNESCO has adopted insane and nonsensical resolutions declaring Jerusalem an exclusively Muslim heritage city and criminalizing Israel’s custodianship of the holy city. Most of Israel’s European allies went along with this affront, either voting for or abstaining on the resolutions. So what do you do when the Big Lie is evident everywhere, and no one seems to care about the truth? What do you do when Abbas repugnantly engages in gross inversions of reality and says that Israel is “paving the way for bitter religious conflict” that he doesn’t want – when, in fact, it is he who is driving the conflict, not Prime Minister Benjamin Netanyahu or Israel? What you do is keep the faith, and re-assert basic truths, such as the fact that for 3,000 years Jerusalem has been the Jewish people’s ancient patrimony and that for 70 years Jerusalem has been the sovereign capital of the State of Israel. What do you do when Abbas shamefully, regularly and falsely accuses Israel of committing “violations” against Islamic and Christian holy sites, including the Al-Aqsa mosque on the Temple Mount, when it is his Waqf Muslim religious trust that has turned Al-Aqsa into an armed fortress and turned every Jewish visit to Judaism’s holiest site into a skirmish? What do you do when it his Waqf that wantonly has dug up and destroyed thousands of years of Jewish archaeological treasures on the Temple Mount, and the world has stood by without protest? What do you do when Abbas’ people have destroyed Joseph’s Tomb, sought to destroy Rachel’s Tomb, and have run Christians out of Bethlehem? You change the way Israeli (and hopefully now American) diplomats present Israel’s case by emphasizing Israel’s legal, historic and religious rights in this land, not just our security needs. You do not forfeit to the Palestinians the international discourse regarding human, national and civil rights, especially on Jerusalem. You push back by declaring – against the advice of all the inveterate peace process experts and high-and-mighty European commissioners – that Jerusalem is Israel’s capital, plain and simple. What do you do when Abbas has the gall to call for “international protection for Palestinians in Jerusalem against assaults by the occupation army” and accuses Israel of “executing” teenage Palestinian terrorists, when it is Israelis who have to be afraid of Palestinian stonings, knifings and shootings in every corner of this country and who are (uncomfortably and heroically) restraining themselves from unleashing the full force of Israel’s military? You demonstrate resilience. And you ask your good friends in the U.S., be they Republican or Democrat, evangelical or secular, to defend you and to affirm that Jerusalem is Israel’s capital. What do you do when the U.N. secretary general and the pope swallow every bit of Abbas’ bile about exclusive Arab rights in Jerusalem, while ignoring his denial of Christian history in Jerusalem? What do you do when they denounce “hateful discourse on both sides,” when there is no moral equivalence between Israeli and Palestinian discourse and no factual equivalence between Israeli and Palestinian propensities to violence? You do not go running scared. You make the determination not to be cowed by yet more threats of Palestinian rage. You resolve not to melt from adopting moral policies just because of Arab stonings, stabbings, bombings and other forms of bullying. What do you do when the president and secretary of state of your main ally, Barack Obama and John Kerry of the blessedly expired previous American administration, doubt Israel’s sincerity in maintaining calm on the Temple Mount and cast aspersions on the defensive measures taken by the Israel Police and IDF in response to Palestinian terrorism, when in fact Israel has studiously (and I think too diligently) maintained the status quo on Temple Mount, and its security forces have acted with immense restraint in response to Palestinian atrocities? David M. Weinberg (www.davidmweinberg.com) is vice president of the Jerusalem Institute for Strategic Studies. Let’s peel back the blatant double standard behind the media’s Jerusalem outrage. And the claims that this will somehow destroy any possibility for peace. Whenever the problem of peace is discussed, the prescription is always pressuring Israel, not the PLO. Jerusalem was one of the pressure points. 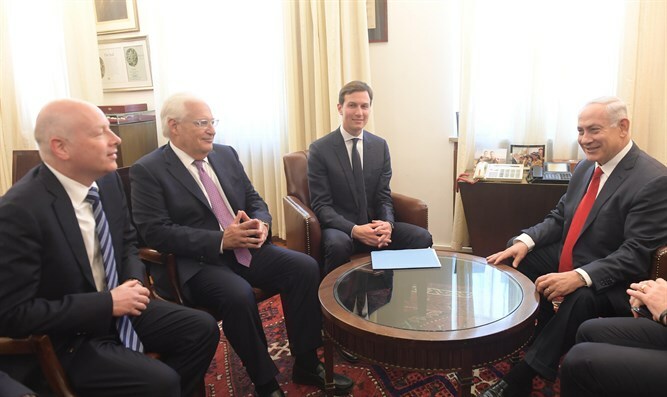 Trump’s move applied pressure to the PLO’s Palestinian Authority in exactly the way that the left had wanted pressure to be applied to Israel. He did to the PLO, what Obama had been doing to Israel by covertly backing the PA’s statehood moves. The double standard is that pressuring Israel in this way is deemed a very good thing because the Jews are somehow the obstacles to peace. While pressuring the PLO is a terrible thing because that will destroy the cause of peace. Why is pressuring Israel a good thing and pressuring Islamic terrorists a bad thing? That’s the bias that needs addressing. It’s the PLO that has rejected every peace proposal. Despite the attacks on Prime Minister Netanyahu, it was Arafat and Abbas who made the decision to walk away from peace negotiations. If anyone needs to be pressured to come to the table, it’s the PLO. 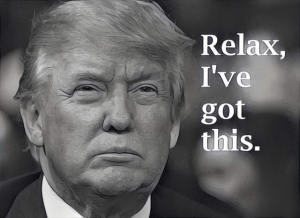 And that is what President Trump did.